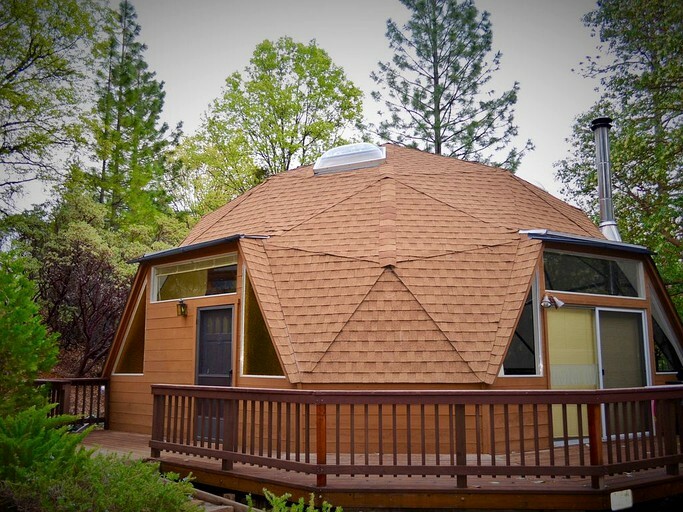 This unique and secluded dome rental—located in Pioneer, California—is the perfect accommodation for a getaway near Sacramento, which sits at just an hour and 15 minutes from the property. 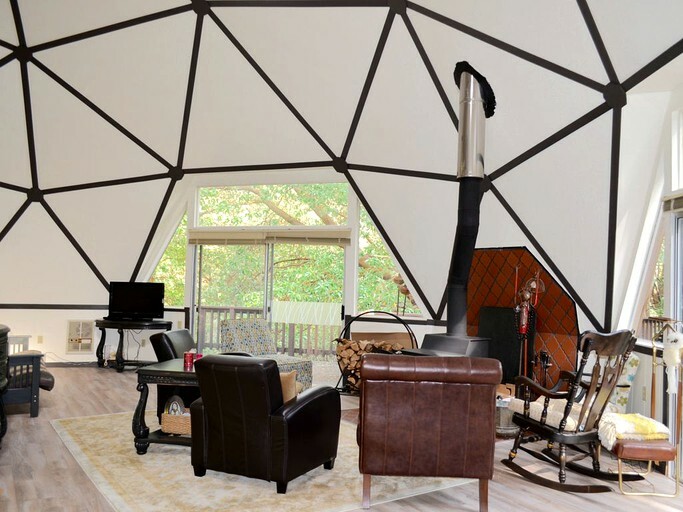 The dome can sleep up to 10 guests and comes with two bedrooms and two full bathrooms. 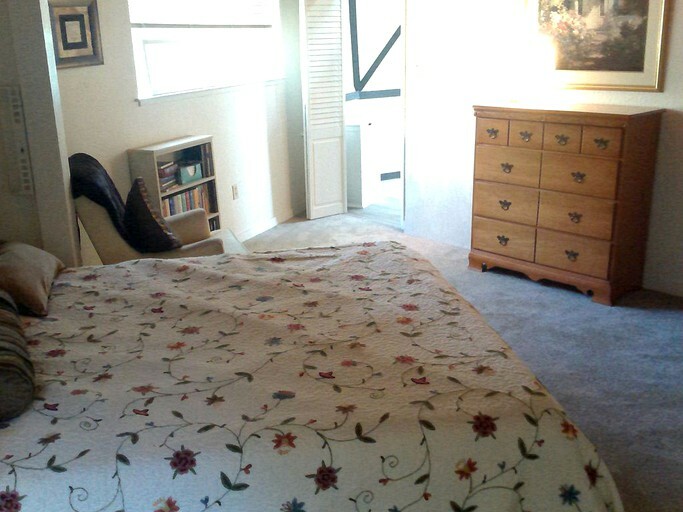 The spacious master bedroom, located on the ground floor, comes with a queen-size bed, and there is space for a portable baby crib for those traveling with children. 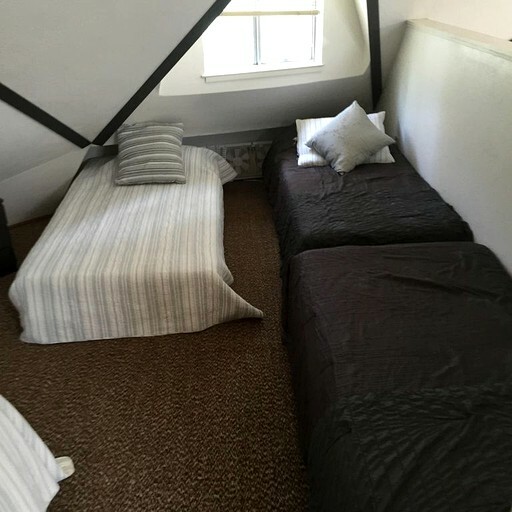 The second bedroom is up in the loft with five twin beds (some with trundles), and there is also a futon in the living room for additional guests. 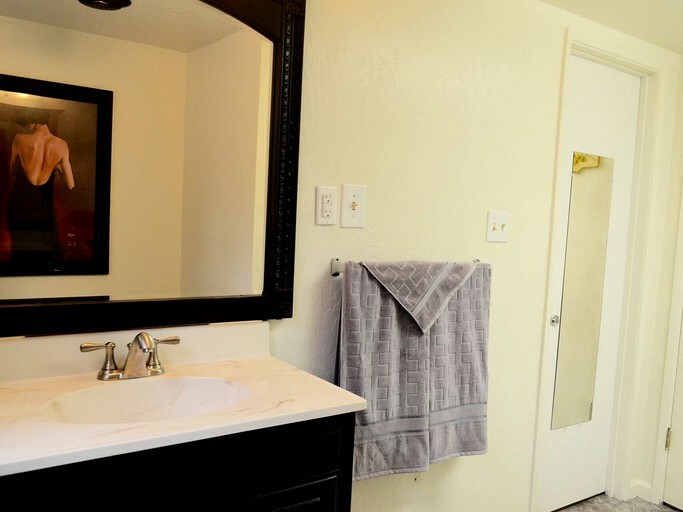 Each of the two full bathrooms comes with a toilet, a sink, and a shower, and all linens and towels are provided. 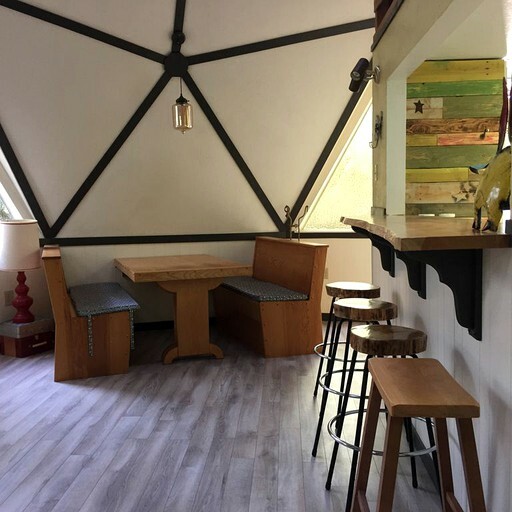 The aforementioned loft area also has a large play area, as well as two skylights. 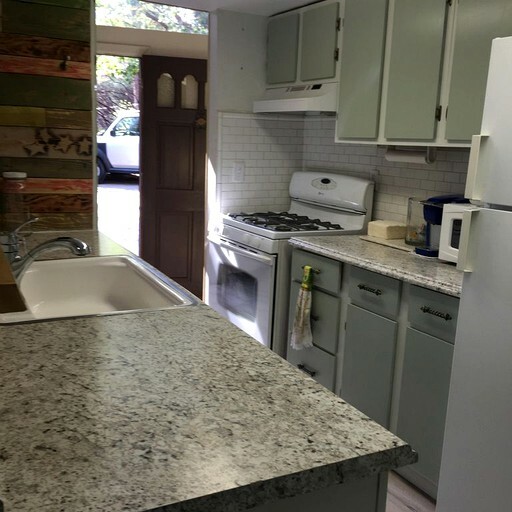 Meanwhile, in the fully equipped kitchen, guests will find a stove, a microwave, an oven, a dishwasher, a Keurig coffeemaker, a toaster, and a breakfast bar with seating for four. 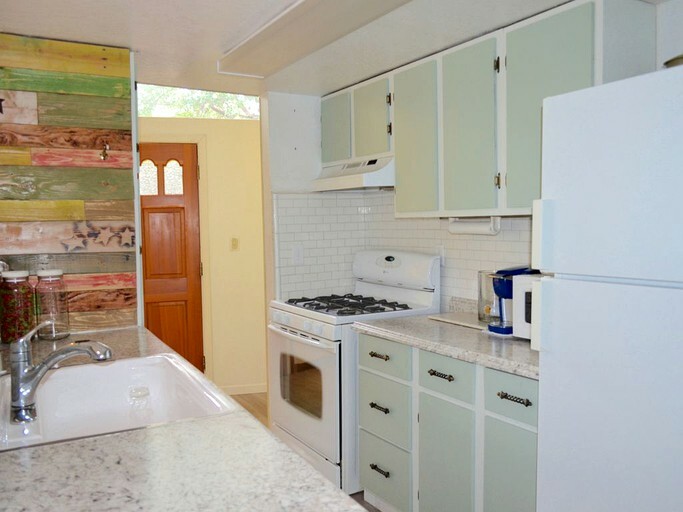 In the cabinets throughout the kitchen, whatever is there is able to be used by guests, including all spices, herbs, oils, and other cooking materials. 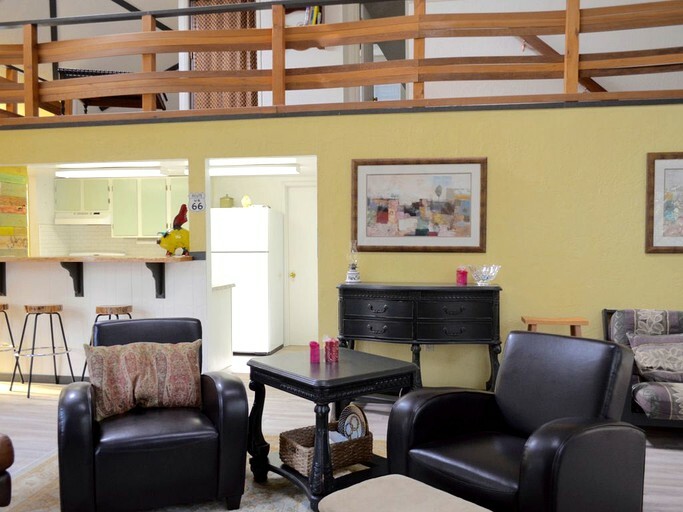 The dining room comes with seating for six, and the large living room features plenty of places for guests to curl up and enjoy the HD flat-screen television, complete with Amazon Fire. 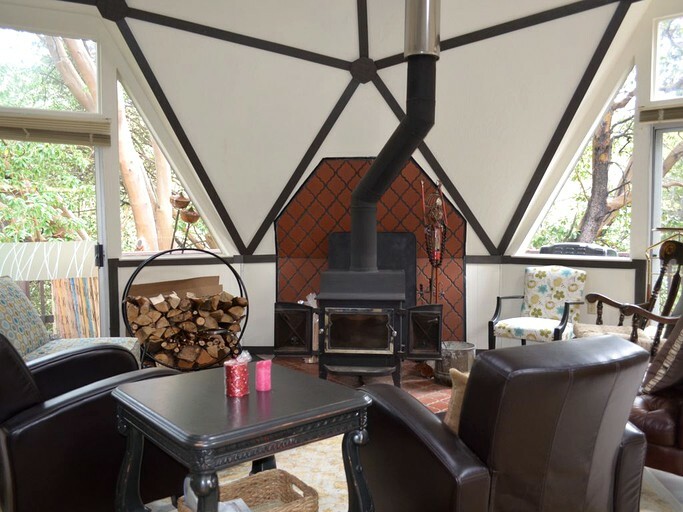 There is also a wood-burning stove that comes stocked with firewood. 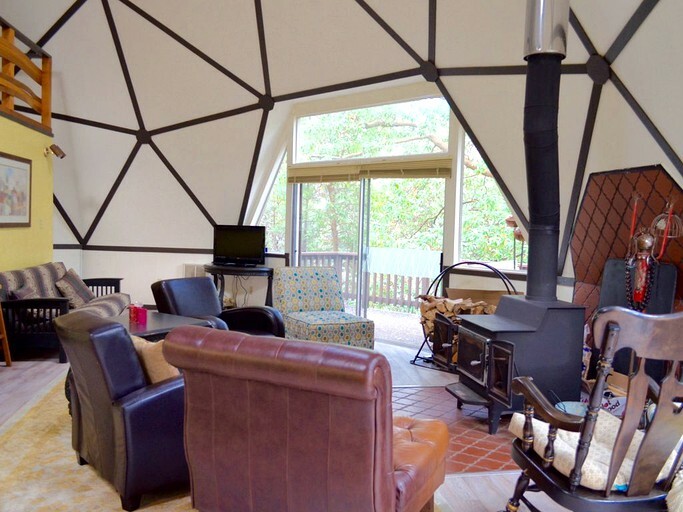 While staying at this dome accommodation, guests will find themselves with a plethora of amenities including a wood-burning stove, a washer and dryer, internet access, heating, a hairdryer, a telephone, and more. 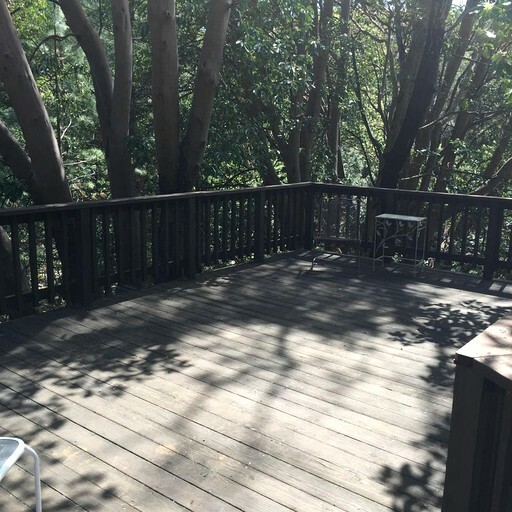 Outside, there is a deck with a gas barbecue and patio furniture, as well as stairs that lead down to a dog run for those traveling with pets. The hosts provide a booklet of the area's restaurants and activities for guests. 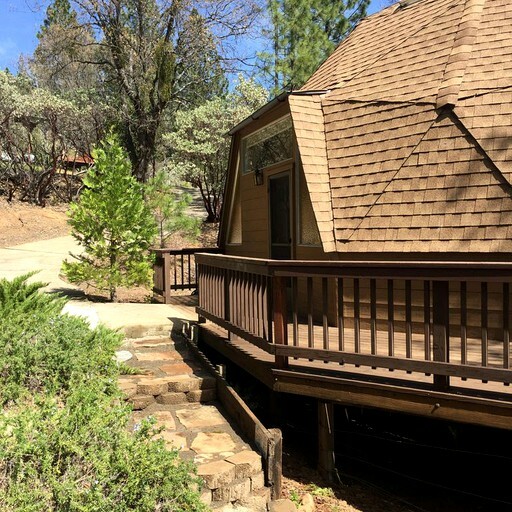 Guests of this glamping site will find themselves close to the Stanislaus National Forest in the Sierra Nevada Mountains, allowing for plenty of opportunities to explore the stunning nature of this part of California. This National Forest is, in fact, one of the oldest in the U.S., dating back to 1897. 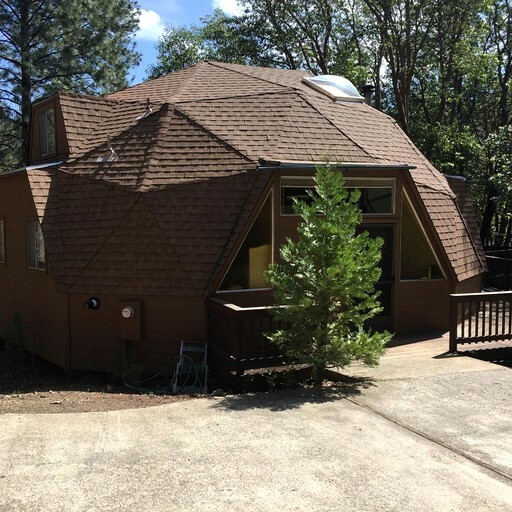 Also nearby is the Eldorado National Forest, for those looking to continue their forested exploration. The capital city of California, Sacramento, sits at just an hour and 15 minutes away from the town of Pioneer, making it the perfect day trip. 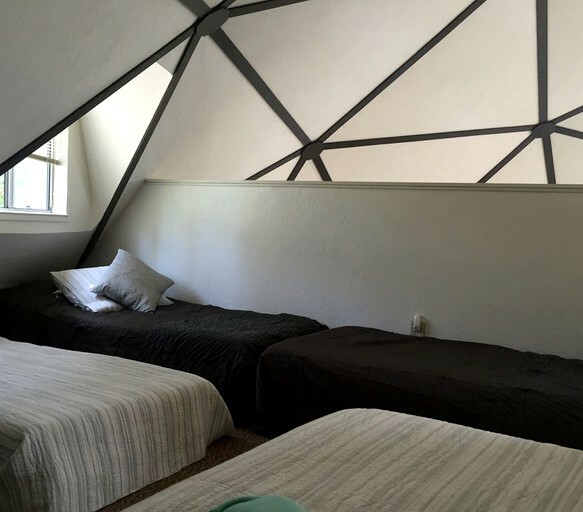 Here, glampers will find a plethora of museums—including the California State Capitol Museum—as well as the Old Sacramento State Historic Park, the Sacramento Zoo, the Cathedral of the Blessed Sacrament, the Old Sacramento Historic District, and more. 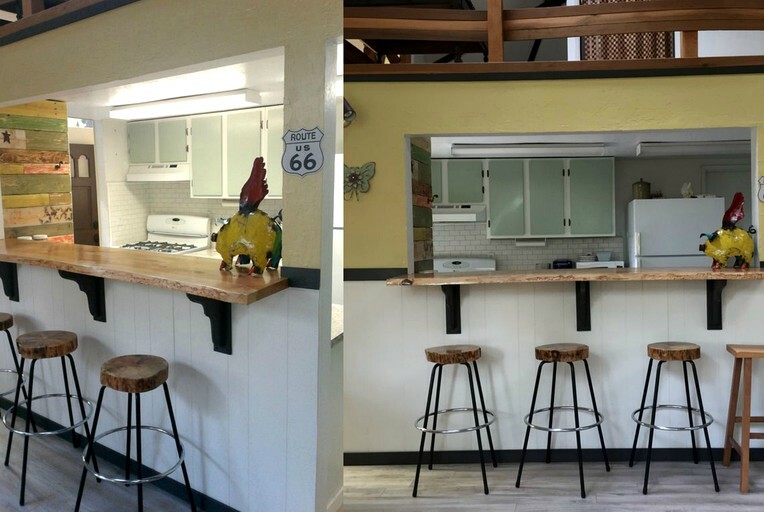 Pets are considered, and guests must make sure their dog's paws are clean when they come inside after being in the dog run; please inquire with the host if interested. No smoking is permitted inside of the accommodation. There is a refundable damage deposit of $200. 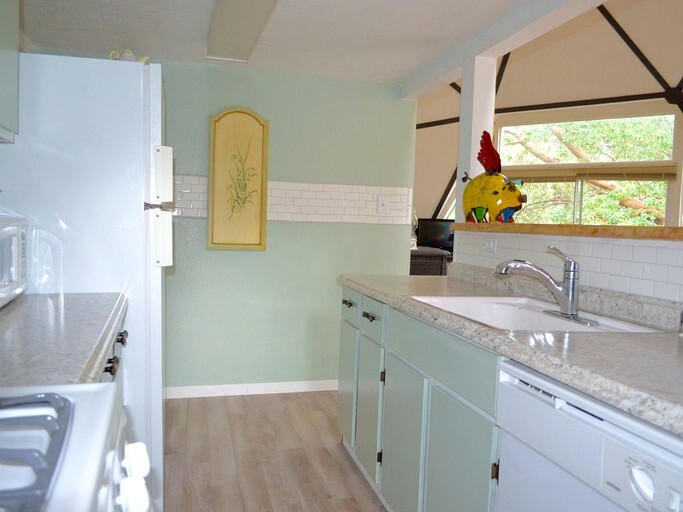 If the house needs to be cleaned professionally, the minimum cleaning fee is $45 (not to exceed $150), and this will be taken out of guests' deposit. If anything is damaged and/or broken, a replacement fee may apply. 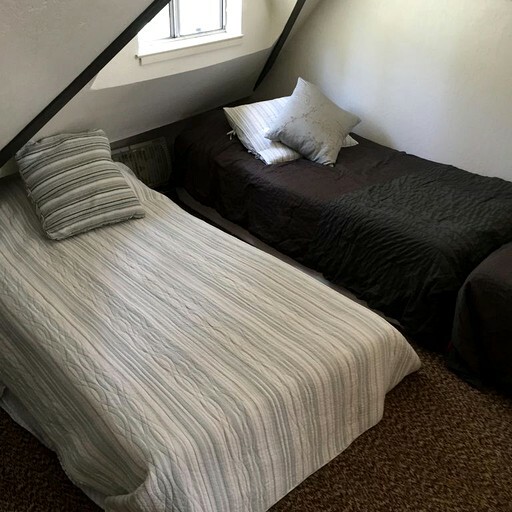 Guests are not allowed to take anything from the accommodation on hikes or day trips. No loud music is permitted after 10 p.m., and no more than two vehicles are allowed, as there is limited driveway space. The host asks that guests please turn all lights and appliances off upon check-out, as well as leave the accommodation in a clean condition.